When we try to understand our world, we ask “why” a specific event occured. But this profoundly human question often leads us astray. 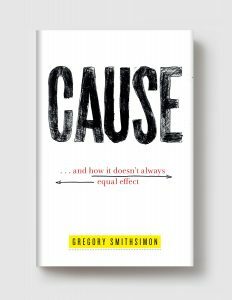 In Cause, sociologist Gregory Smithsimon brings us a much sharper understanding of cause and effect, and shows how we can use it to approach some of our most daunting collective problems. Smithsimon begins by explaining the misguided conceptions cause and effect that have given us tragically little insight on issues such as racial discrimination, climate change, and the cycle of poverty. He then shows unseen causes behind these issues, and how we are hard-wired to overlook them. Armed with these insights, Smithsimon explains how we can avoid these mistakes, and begin to make effective change. 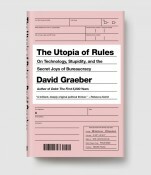 Combining philosophy, the science of perception, and deep research into social factors, Cause offers us a new way to ask, “Why?”, and a hope that we may improve our society and ourselves. GREGORY SMITHSIMON is a professor of sociology at Brooklyn College, City University of New York, and the CUNY Graduate Center. He is the author of September 12: Community and Neighborhood Recovery at Ground Zero (New York University Press, 2011), and co-author, with Benjamin Shepard, of The Beach Beneath the Streets: Exclusion, Control, and Play in Public Space (SUNY Press, 2011). He is an editor of the new online journal Metropolitics, and has written for the Village Voice, Dissent, In These Times, and the Daily News. He lives in Brooklyn.